3. 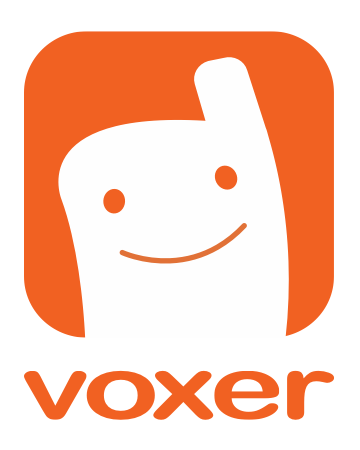 Find Voxer and tap it! Your "top priority" chat (the one you put at the top of the list in the app) will show as your default chat within the widget. Want to access the other chats you added to the widget list? Simply swipe to the right or left to scroll through the chats. Whichever is left on the screen will be re-ordered to the top of the list seen within the app. You can have up to 10 chats added to the easy talk widget. All of the functionalities (text, pictures and voice messages) can be sent and received through the Widget. 1. Who can use the Easy Talk Widget from Voxer? - All Pro and Business subscribers can use the widget! 2. If I'm a free user, how can I try out the widget? - You will need to upgrade in-app to Voxer Pro or online to Voxer Business. 3. What are the benefits of a widget? - The widget makes accessing your "top" chats quicker and easier.